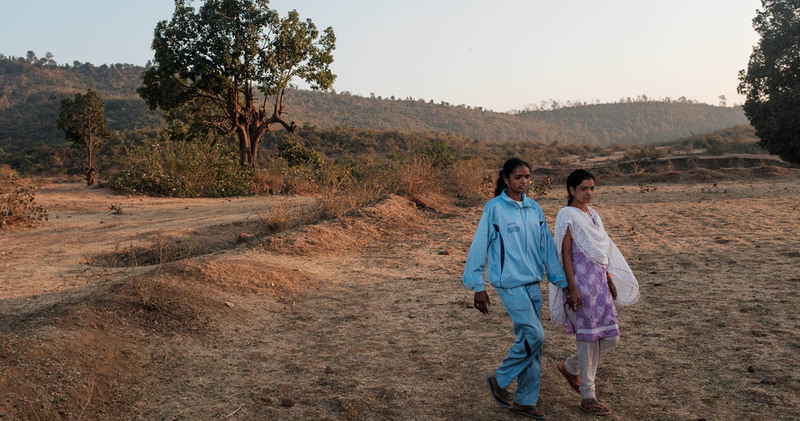 In Madhya Pradesh a group of young women have been taught self-defence and judo, and it’s changing their future in incredible ways. An audio described version of the film Fighting for a brighter future can be found here. 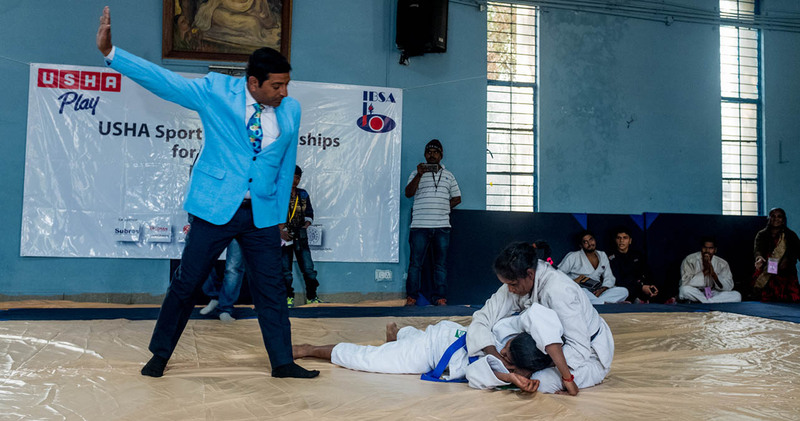 Before Sudama learned judo, her parents were scared to let her go out on her own, and on the days when her brother couldn’t take her to school, she would just stay at home. “Before, we were not considered important, but nowadays, if [for example]I refuse to go to judo practice, now my parents will make me go and learn judo, because they say that it will help me to shape my future,” says Sudama, age 17. The training, run by Sightsavers and local DPO (disabled people’s organisation) Tarun Sanskar, started in 2014. The organisers asked young women in the community what they felt they needed to support their independence, and they asked to learn self-defence. Madhya Pradesh, the state where the women live, has the highest number of reported incidents of sexual violence in all of India. Young women with disabilities are especially vulnerable to attacks. As a result of this, many women don’t feel comfortable leaving their homes. “I really enjoy judo … I can go out independently and if somebody tries to touch me, I can use my technique to throw him down,” says Nikki, age 20. At first, 20 young women participated in the programme. After their training the young women returned home to their villages, where other women with visual impairments started noticing a change in them. Not only were they starting to move freely around the village, but they also had a whole new sense of confidence. In Delhi in January 2017, a group of girls from the programme competed in the USHA Sports Championship for the Blind. Sisters Janki (left) and Shanti have both been trained in judo. Now the sisters are able to travel around independently, and in 2016 they went to Uzbekistan to compete in an international judo competition. 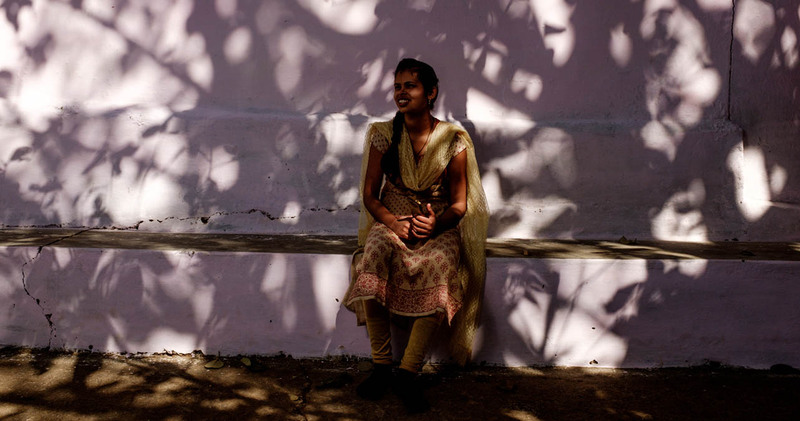 “Now these girls feel that they can do anything in the world,” says Jayashree. This confidence, she says, hasn’t just enabled the girls to move around freely in their hometowns. The girls have also started competing in national and international judo competitions, showing everyone around them that visually impaired girls can do anything. And they’re becoming role models not just in their communities, but further afield too.